A salaam alaikum / Peace be unto you. . .
chin bowed, been crying the chant Datu taught us: eh la a ay, eh la, eh la ay… ginoo namon kag pagabuhaton… RIPinoyness, Apo Lakay. I was feeling a bit homesick yesterday, so I wrote this poem about our family’s favorite picnic spot, Pinoy Hill, located in Seward Park, in the southend of Seattle. Please post comments below. Salamat/Thanks. We looked up to you. Keeping in step with congas and cut bamboo canes tapping at your feet. 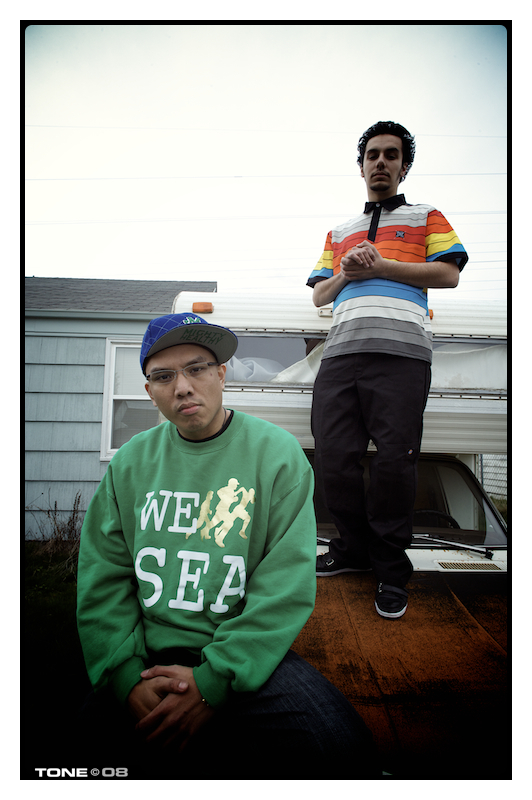 In bouncing low-riders, kissing Lake Washington’s shores. Long before the August moons and the pageantry of Pista sa Nayon of SeaFair. Next to a roast pig clenching a Wenatchee Red Delicious in its mouth. With me always dropping my jaw at how the old-timers rigged that one. All of us begging to shave it and flip open the metal scraper housing summer’s snow. Just a mile jog down your neighboring Juneau Street. Spitting black seeds into your singed hairs of grass to see if they would take root. Pinoys ever getting even one piece of the elusive American pie? To prevent us from getting run over by the melodies of your ice cream trucks. Rings of smoke signals: pinching your lips with the nod of your flat nose. Only to be met by our mamas beating the fingers of your branches across our bottoms? Oh, to wander lost in your woods again. Their fedoras and worn shoes too big to fill. Their liquid medicine to forget the double shift they have to pull tomorrow. When your heart gave us shade: the only open space where Pinoys could play freely. Oh, Pinoy Hill, our memories run deep as the soils of your brown soul. Does the post-65 generation still love you like we did? Then stomach your winding hill to stoke the fires in your belly? For a century now, you stand tall: the roots of our family tree. Itching to savor and breathe in the scents of those days long ago. With thanks to Allan Bergano, Carmen Español, Carmelita Floresca Bridges, Harry Rivera, and Vanessa Ventura Valencia for their input. Emily P. Lawsin grew up in Seward Park and teaches at the University of Michigan. From the South End to Downtown – Seattle, a native part of me. She climbs Rainier Avenue to the C.D. and the I.D. Franklin High on an emerald night. To drum beats the FYA plays at the Black Festival, where she reigns. Pushing and squeezing gas-guzzling SUVs back to their cold cul-de-sacs of suburbia. That Queen is smart, she is. at the quakes of the earth called Phinney Ridge. dot.coms didn’t come no more. Didn’t mean “Washington’s Ticket Out” of the rut of corporate greed. Bringing Niketown to its shoeless knees. That Emerald Queen plays smart, she is. Whips up Wallingford to Woodland Park, setting all the zoo animals free. For damn luxury skyboxes and a retractable (read: RAINABLE) roof. An underground over Underground Seattle. Still, this Queen smoothes the wrinkles of her face: Aurora and Old Highway 99.
http://www.mtv.com/videos/blue-scholars/166934/back-home.jhtml#artist=1918439This video brings tears to my eyes. Bring the troops home. Peace. Click HERE to READ and LISTEN to my Shuffle! of my top Filipino American songs on Boston Progress Radio. 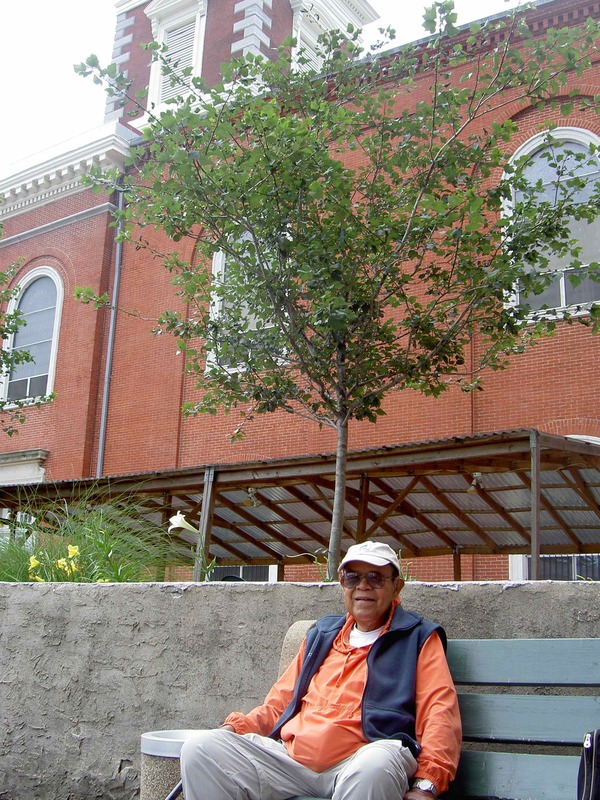 Click HERE to read my previous blog post: REMEMBERING UNCLE SAM BALUCAS + POEM. I lost a lot of important people in my life this last year, including my mother, who I will definitely write more about, here or elsewhere, at another time. And today, as always, I’m remembering my “Northridge/FANHS-L.A. Dad”, Uncle Sam. It’s been exactly one year since I received the phone call from Uncle Fred Cordova about his brother, Sam Balucas, who passed away October 7, 2007, in Southern California, at the age of 75. 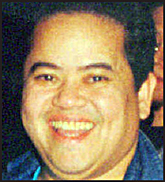 “Uncle Sam”, as many of us called him, was a fellow Trustee and National Treasurer of the Filipino American National Historical Society (FANHS) and President of the FANHS-L.A. Chapter. I would have never survived the nine years that I lived in Los Angeles without Sam. 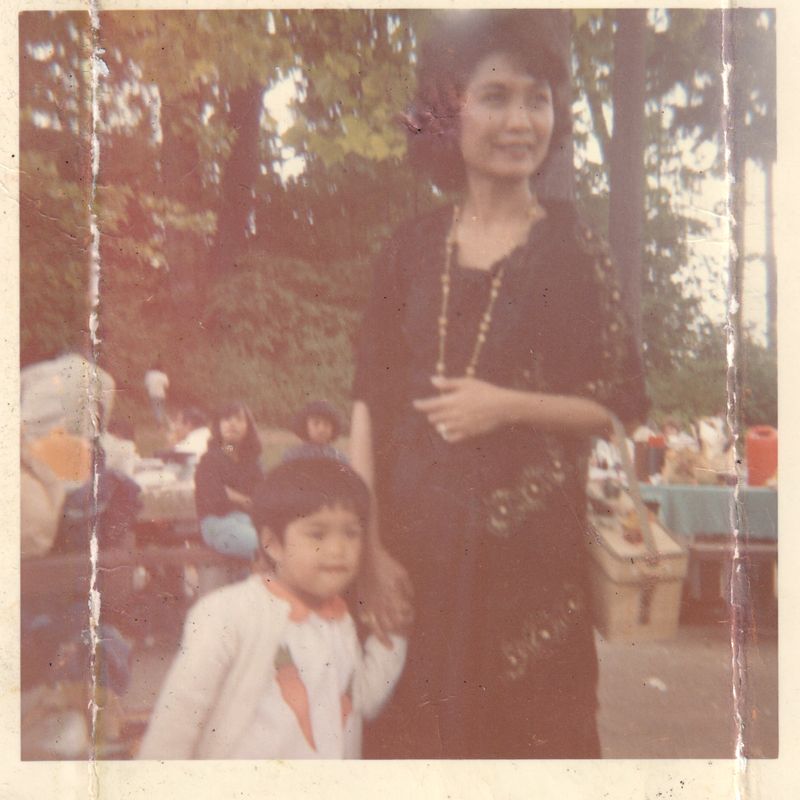 By way of background: I had the good fortune of being raised in “SHE-attle”, Washington, a major port of entry for thousands of Filipino immigrants since the early 1900s. 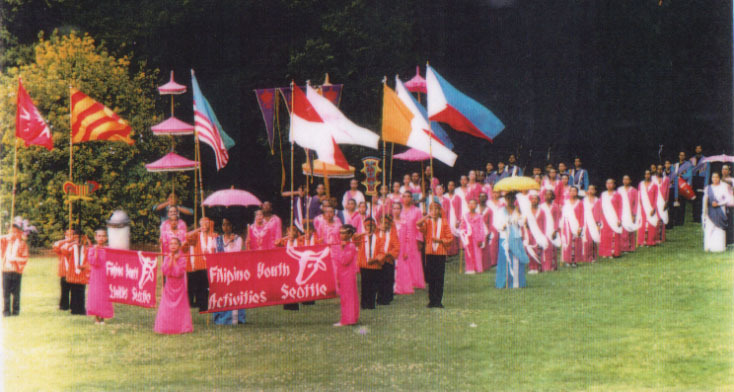 I grew up on the Filipino Youth Activities (FYA) Khórdobah Drill Team, the only one of its kind in the nation. The FYA Cabataán Folk Dancers started in 1957, and the FYA Drill Team followed in 1959. 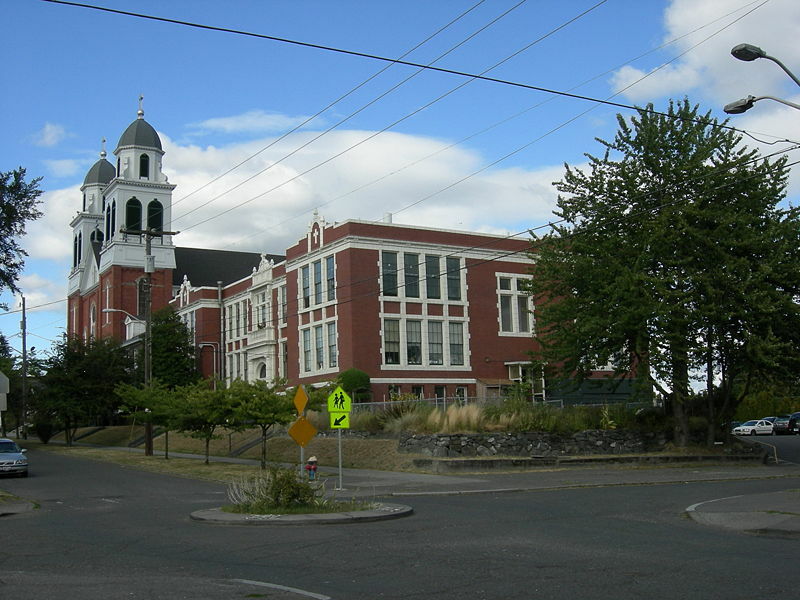 In the form of what I call a pioneering cultural/freedom school, the FYA was founded by Fred and Dorothy Laigo Cordova with other Seattle families. They wanted to teach their children pride in our cultural heritage at a time when racism and discrimination made it not so popular to do so. The FYA later became a United Way social service agency. 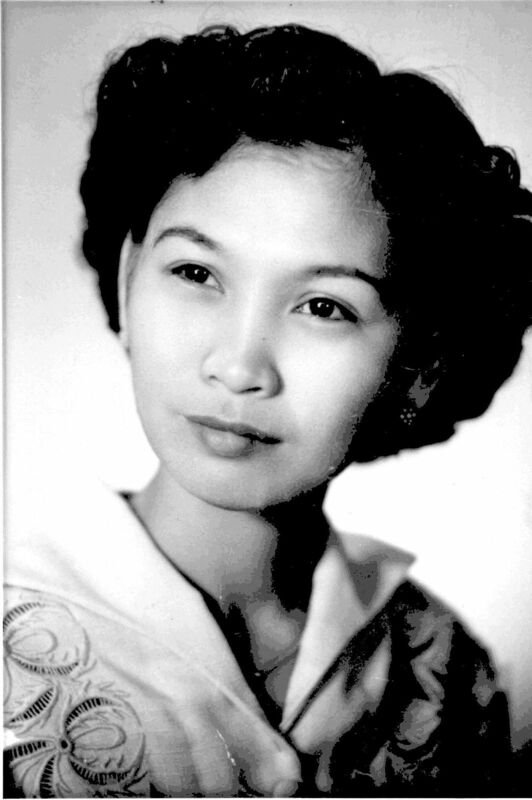 As many Seattle Pinoys are, I am actually related to Auntie Dorothy by marriage (through my Floresca sisters and Ordonia cousins). Ever since I was 12 years old, Uncle Fred and Auntie Dorothy have been my mentors, then my college professors at the University of Washington, and then the officiant and godparents at my wedding. With the FYA drill team, we traveled everywhere, including Washington DC and California, where as Maharani/Team Leader, I must have briefly met Fred’s brothers, Phil Ventura and Sam Balucas. So when I moved to UCLA for graduate school, Uncle Fred, the archivist and information specialist that he is, sent me with a care package and a list of phone numbers. He said, “These are my brothers in L.A, call them, and they will take care of you.” And take care of me, they did. A couple of years later, when we chartered the FANHS-Los Angeles chapter in 1993, Uncle Sam served as our first chapter Treasurer. 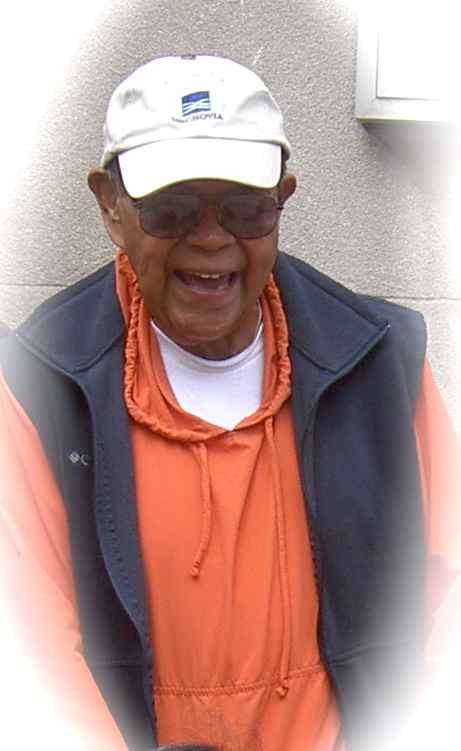 He went on to serve two terms as FANHS-LA Chapter President before he became a National Trustee/Treasurer and then was re-elected L.A. Chapter President the year before he died. If you ever went to a FANHS Conference (held every two years), Sam, a widower, was usually the one counting the money or buying all the ladies drinks (probably so FANHS could make its quota on the bar tab). When my partner and I decided to move to the Valley to be closer to my work (CSUN) and a rental opened up one block away from Sam’s house, we jumped on the chance to live so close to him. they would be amazed at meeting a Filipino American elder that “didn’t have an accent”, because Sam was SECOND GENERATION. He and his siblings are from what we call the “Bridge Generation”, those Pinoys — Filipino Americans — born in the U.S. to the pioneers of immigrants before 1945. You can read more of Sam’s obituary HERE. Leave it to Sam to pass away during October, which FANHS established as Filipino American History Month, a nationwide observance. Below is a poem that I wrote amidst a flood of tears on the day that Sam died. It is titled “Tale-Gating” because Uncle Sam was famous for “tail gating” and hosting huge Superbowl parties, as well as telling the funniest tales. I tried to remember all the moments I was blessed to share with him… His daughter, Sami, was kind enough to ask me to read this at the funeral last year. I will always be grateful to her and her family for sharing their dad with us. ~ Joan May T. Cordova, 1989.
the only way a Pinoy ever could: through food. all kinds of food: his nilaga and sinigang, his brother Phil’s mongo, and garlic rice. Dinuguan became “did not go on”, pusit became “opposite”. It was like growing up in Seattle again listening to his brother Fred’s jokes. jumped in his truck to get a few fresh Tilapia fried at Seafood City market. asked me if my dad ate the eyeballs too. Who’s doesn’t? and the next minute we compared grocery prices and the quality of Albertson’s meats. just so we could people-watch and tsismis. with enough sandwiches, water, and sodas for the whole barrio. and the politics of water-cooler trash talk at Hughes Aircraft, many years after he retired. taught me to be a better daughter myself. Sam was more than our President/Treasurer/Manong/Brother/Uncle/Friend/Cook/Taxman/Fisherman. but I know you’re saving us all a seat at the table.